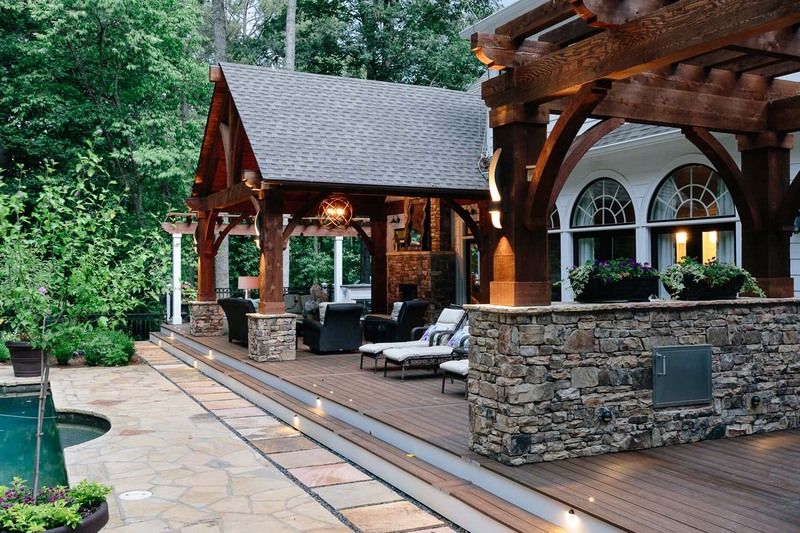 This North Fulton (Milton) home had a well designed swimming pool, but lacked a place to entertain and relax after a busy Atlanta day. 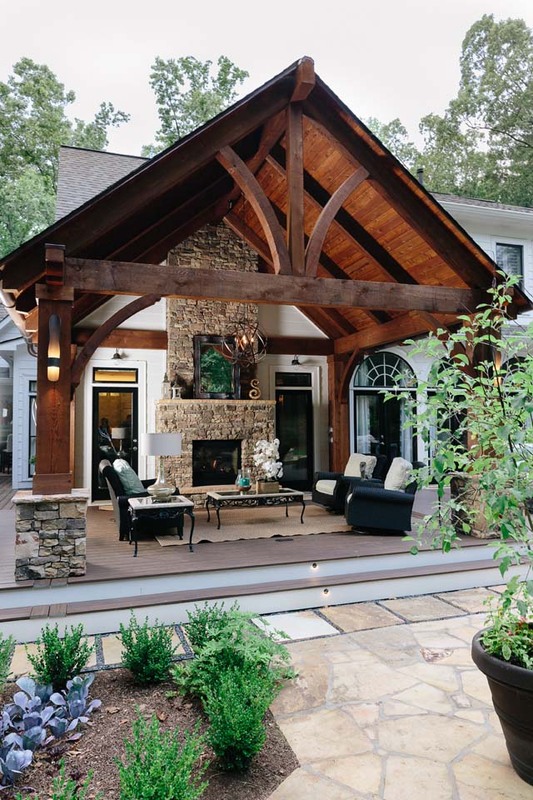 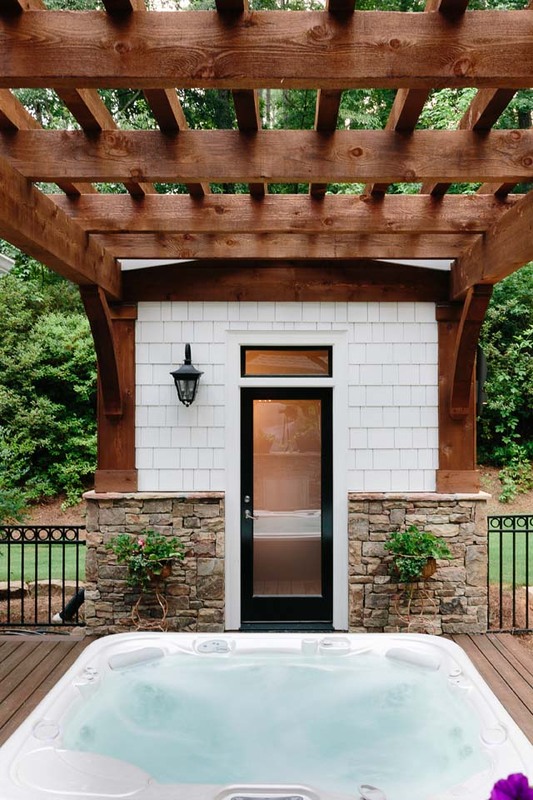 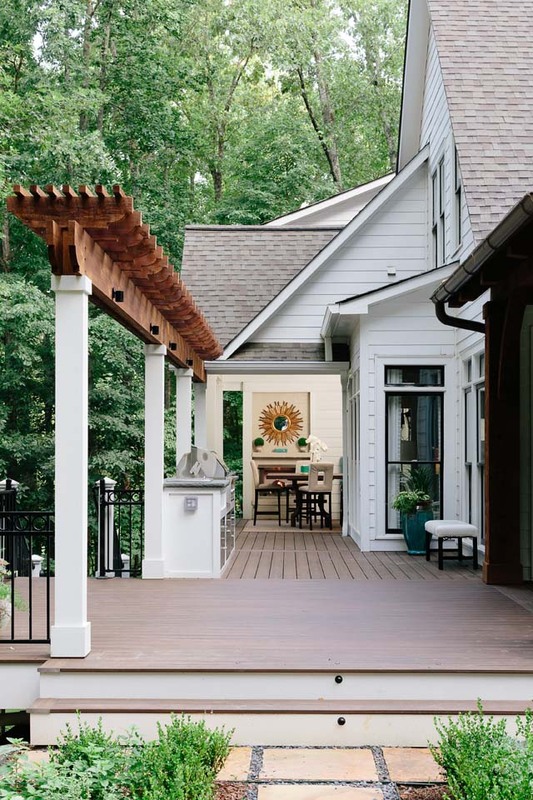 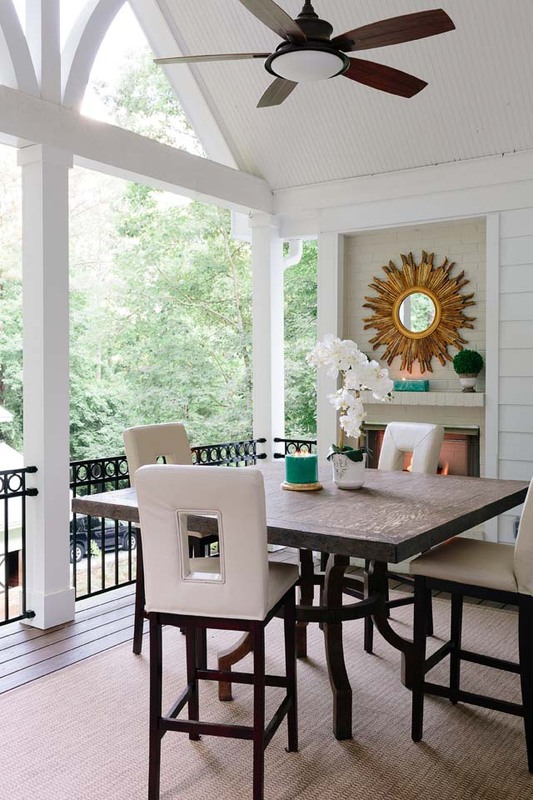 An Atlanta outdoor living dream addition. 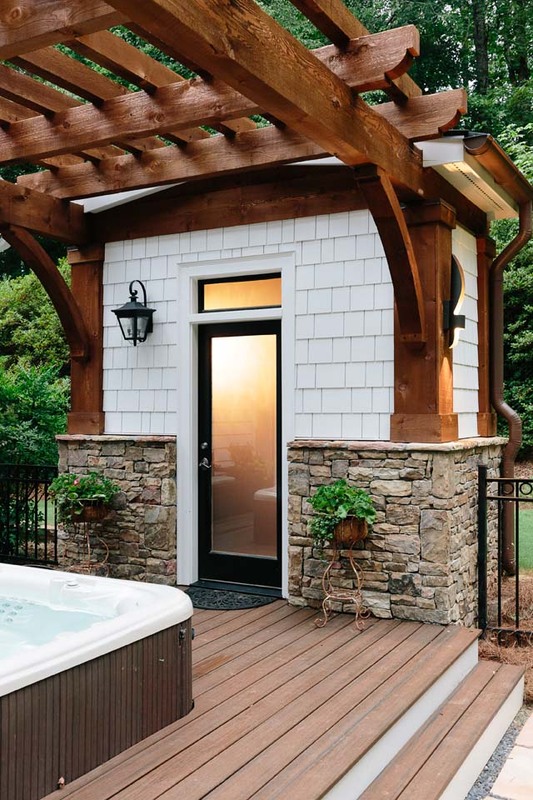 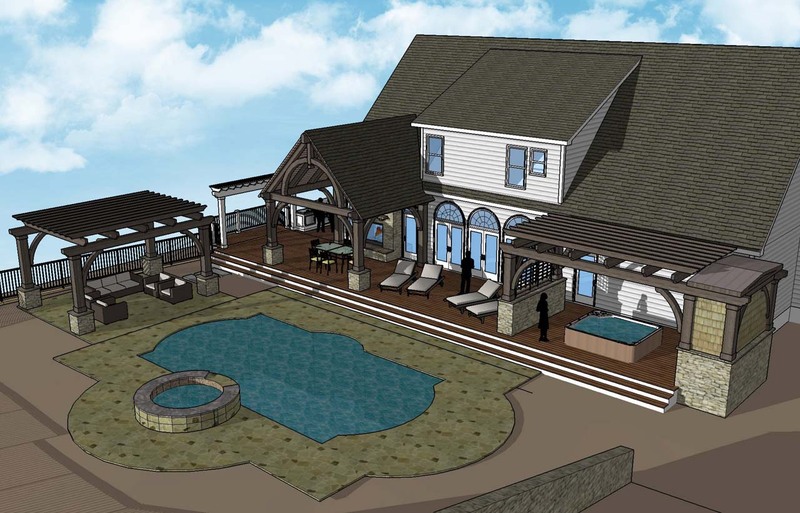 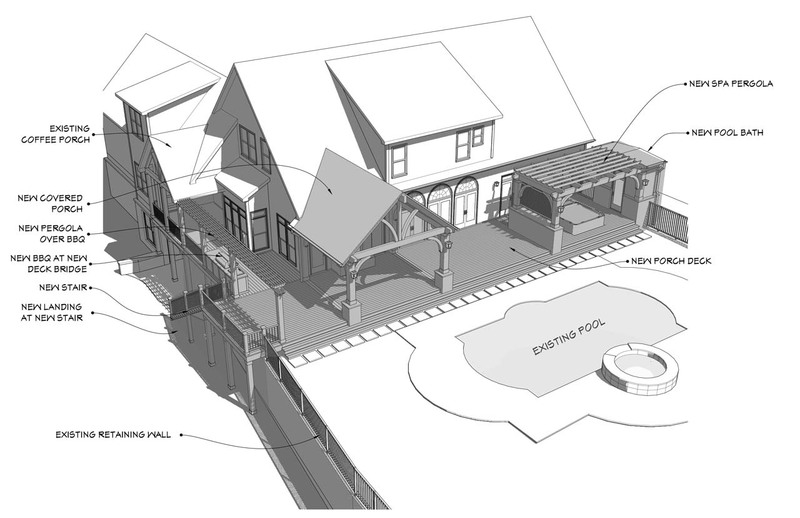 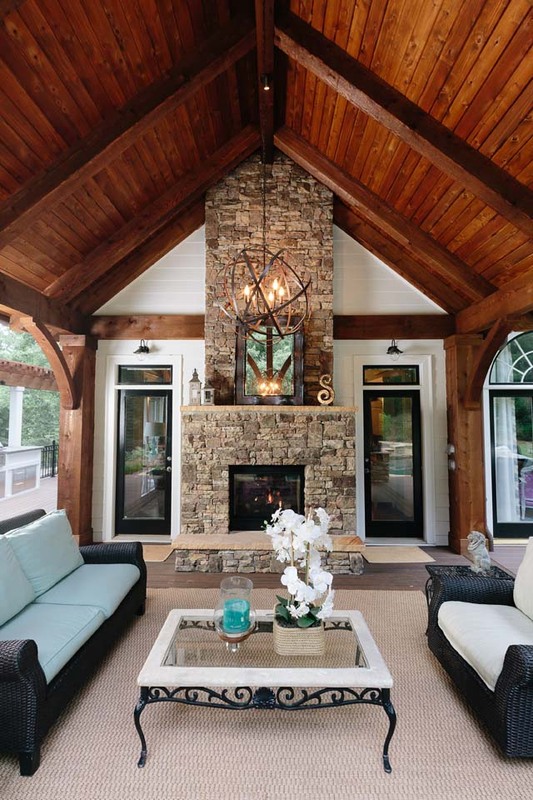 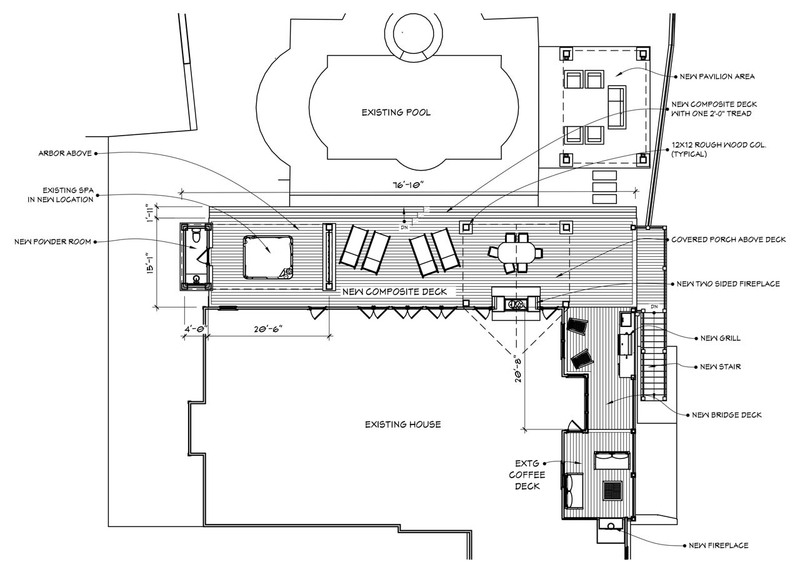 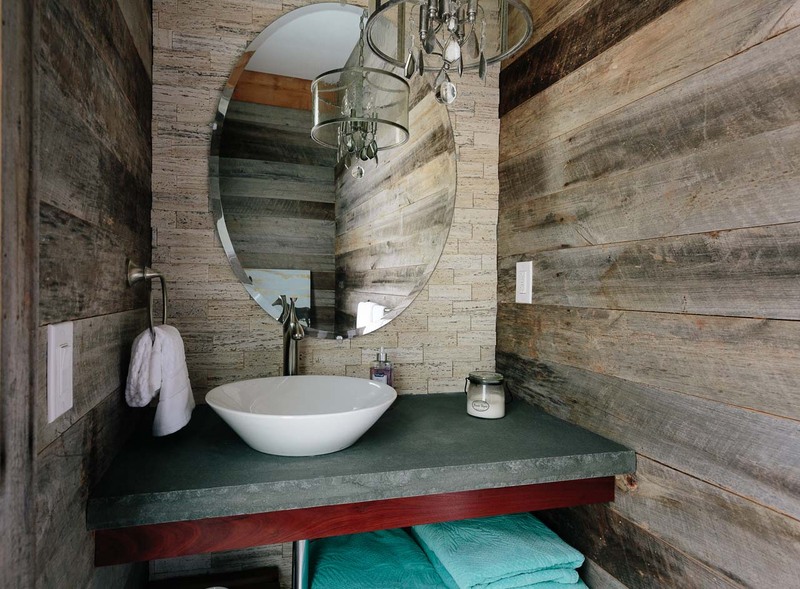 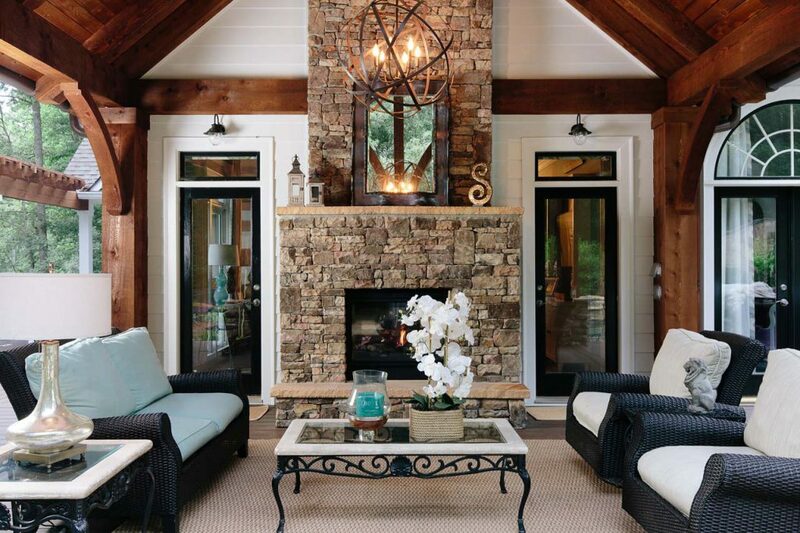 An outdoor living room with a fireplace, an open deck, a hot tub deck and a restroom.